The gauges and instruments offered here are useful aids to ensuring that phono cartridges are correctly aligned and balanced to give optimum sound reproduction performance. 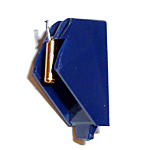 Headshells and replacement cartridge leads (tags). 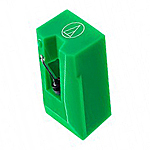 If you frequently change cartridges or swap cartridges between turntables then our universal standard headshell should help by avoiding the need to fiddle with cartridge leads and mounting bolts. Mantra Audio offer a range record cleaning products including cleaning kits, anti-static sprays, carbon fibre brushes and a unique piezo crystal static ion neutralising gun.